Getting to spend an entire month in South Africa was an absolutely dream. If you’re ever planning on going, you need to spend at least three weeks there, partly because the travel time there from the States is so long (two 10 hour flights, plus one little one when we arrived) but mainly due to the abundance of sightseeing in this spectacular country. 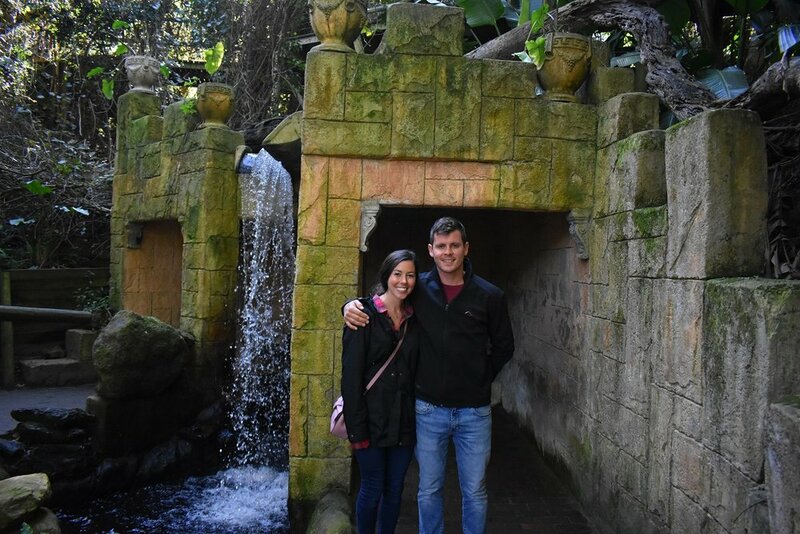 While I was there, I was staying with my boyfriend’s wonderful family and I got to dive head first into South African culture. It was intoxicating. Their love for their country, and all the beauty in it was like nothing I had ever seen. Walking around farmer’s markets, grocery stores, and even my boyfriend’s parent’s home, I began to notice these strange looking flowers. They weren’t like flowers we have back. These strange looking flowers were proteas. The protea is South Africa’s national flower. The protea is an absolutely enchanting flower. It’s not like most flowers, with delicate petals flittering in the wind. This flower is, like the people of its nation, strong. Its petals are rigid and its stem is sturdy. The protea represents change and hope, and is adorned in all sorts of places throughout the country. From having them in a wedding bouquet to growing them in their backyard, it’s a symbol of national pride in its purist form. Another South African favorite are rusks. Rusks are a magically delicious treat. They are a double baked biscuit and can range from simple buttermilk rusks to a healthy whole wheat and oat rusk. 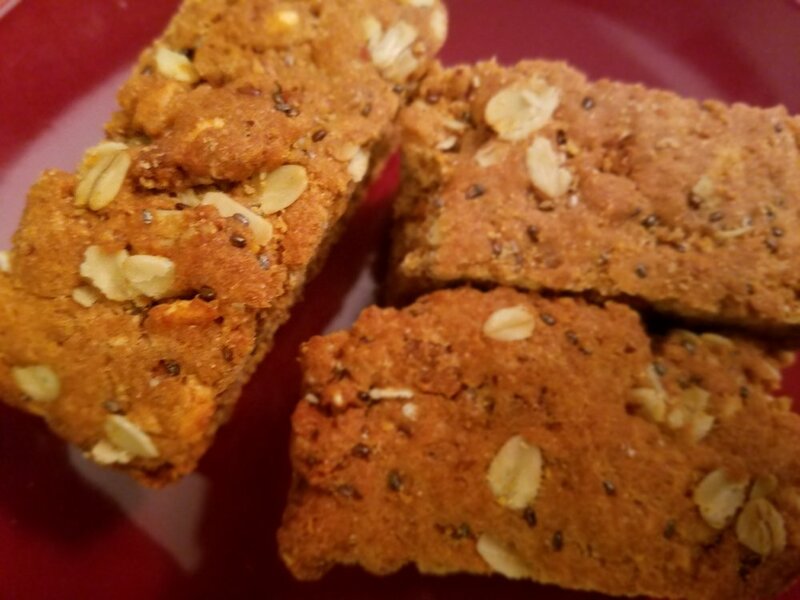 They are crunchy and perfect for soaking in some rooibos tea and coffee as a morning (or midnight) snack. The only drawback to these is how long they take to make, the initial process is pretty simple and you bake them for about an hour. After they cool in the pan, you cut them into small, thick chunks and bake them again for 6-8 hours on a low temperate to get them their crispiness. When it comes to a rusk, the deliciousness outweighs the number of hours in the oven. 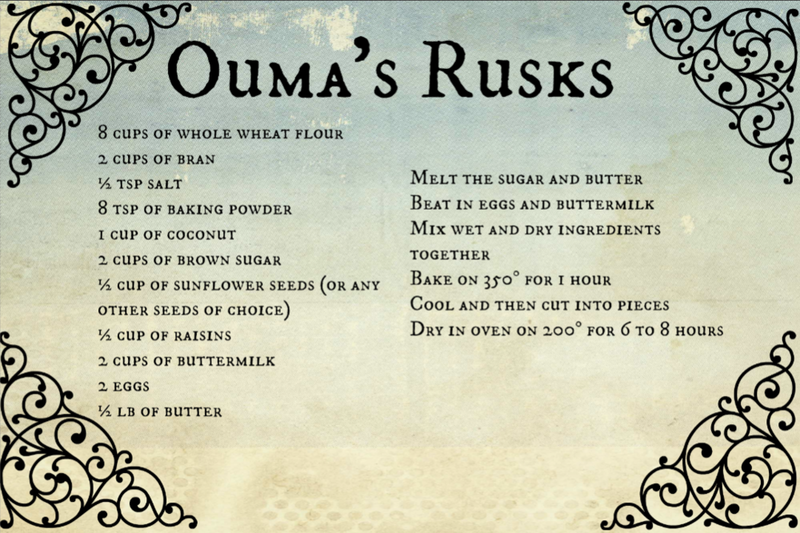 I was lucky enough to get my boyfriend’s Ouma’s recipe and I thought I would share it and you can test it out for yourself. Enjoy! 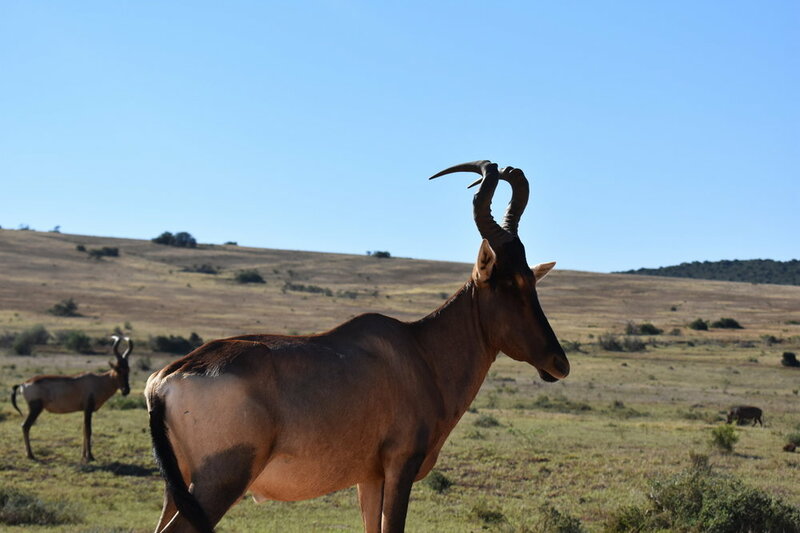 Being the third largest wildlife conservation park in South Africa, its reputation proceeds itself. Seeing so many incredible animals in the wild with nothing but a car door in between them and me was a humbling experience. I could go on about its history, what I saw and how I felt, but I believe the pictures do it more justice than my words ever could. While we were there, we stayed at the beautiful Umlambo River Lodge. It was about a half hour from the park, tucked away between the citrus farms and nestled right on the river. The bungalows smelled of freshly picked oranges, and the mosquito netting around the bed was romantic yet practical. Whether you want to stay a night or week, the bungalows were well stocked for both--complete with plenty of rusks to go around. A lovely breakfast was included and afterwards you could take the kayaks out for a morning paddle. One of our first days in Knysna was spend perusing the Wild Oats Saturday Farmer’s Market. Here you’ll find everything from handpicked protea bouquets to deep fried koeksisters slathered in honey. It’s a huge market, with lots of options for breakfast, local produce, and every art or craft you could think of. You might even stumble upon some gemstones and find a nice tanzanite or tourmaline to bring home. Get yourself a warm red espresso (made from the local favorite rooibos tea) and a rusk (a hard, twice baked biscuit perfect for dunking and soaking) and emerge yourself into the colorful South African culture. 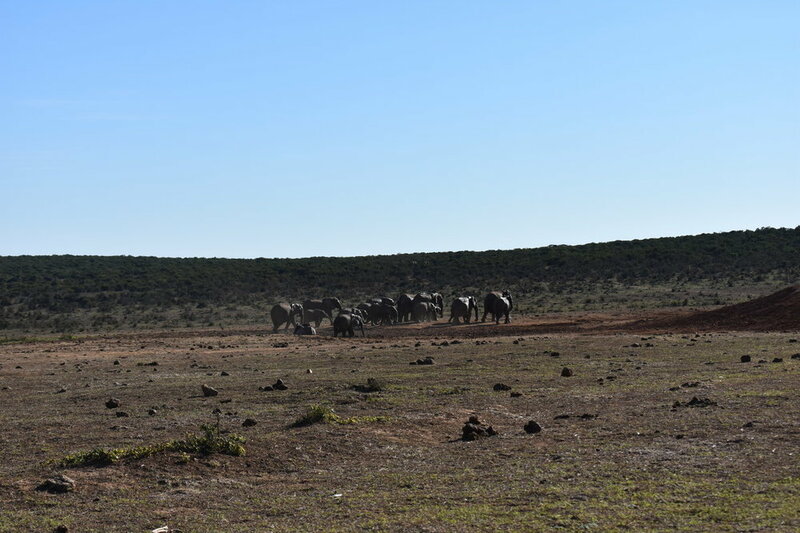 Here is where you’ll get up close and personal with some African elephants. The Knysna forest elephants were a special breed, they walked silently through the bush for hundreds of years until poachers and deforestation eventually reduced their population to less than five elephants. There have been attempts to reintroduce northern African elephants into the forest, but their biology just wasn’t the same—they all got sick from the damp, dense forest and had to be returned home. 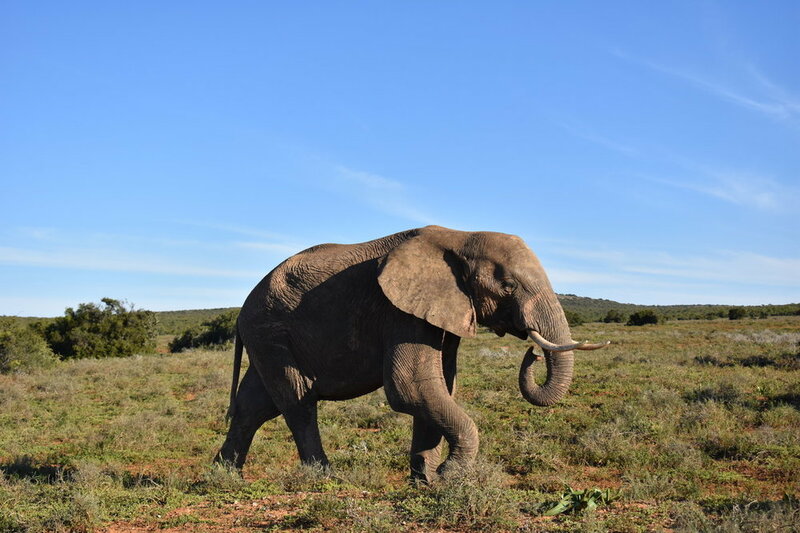 The elephants at the park aren’t original Knysna elephants, as they are all elephants who were orphaned or are unable to survive on their own in the wild. At the park you get to roam around with some zebras and feed the elephants some butternut squash and apples as their tusks tickle your fingers. East Head Café was definitely my favorite breakfast spot. It’s located in the Heads, sitting right along the rocky coastline. With breakfast options like spicy free range chicken livers, honey granola with seasonal fruit, and a smoked salmon hollandaise you definitely won’t be lacking in options. We never made it there for lunch, but their lunch menu looks just as decadent as their breakfast one. Opt for some savory hake and chips or go for a lighter butternut, barley, and blue cheese salad. It’s the perfect place for great service, hot cappuccinos, and a beautiful view. Now Jubilee Creek is somewhere you must go after you read Circles in a Forest. It’s a quiet spot, far enough from town with grills for a braai and picnic tables right next to the bubbling creek. The water is tinted brown, from the leaves on the forest ground, but it’s crystal clear and clean enough to drink. Take a forest walk and find yourself at a beautiful pool with a waterfall surrounded by old mine shafts where miners spent their days searching for nuggets of gold. 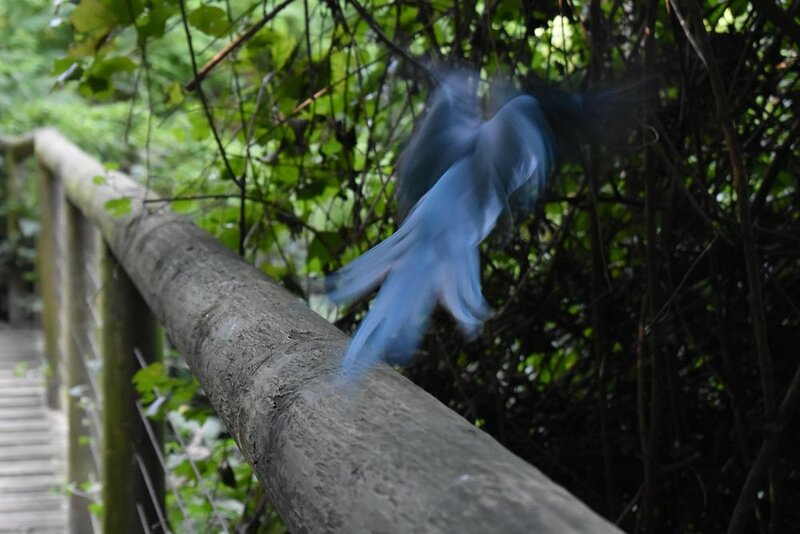 With a bottle of local South African wine, sweet gooseberry jam, and creamy brie cheese, this is a perfect way to spend an afternoon—you might eve spot a Knysna loerie on your forest walk. Depending on where you are coming from, the flights alone to SA could easily break the bank not to mention all of the sightseeing you want to do when you finally get here. Cape Town is a city like no other. As if the city itself isn’t cool enough, but to top it all off you have the most beautiful mountains and coast lines surrounding it. You could easily spend hundreds of dollars taking helicopter tours of the city, shopping, or taking some posh train rides. But when there are an abundance of free (and cheap) things you can do, why spend the money? What used to be slaves quarters, is now a colorful representation freedom. It all started in 1760, when Jan de Waal leased out these homes to slaves. Originally, they were painted white but as soon as the slaves were liberated, they celebrated by painting the homes an array of turquoises, pinks, and burnt oranges. Rain or shine, Bo-Kaap is a must see when you come to Cape Town. 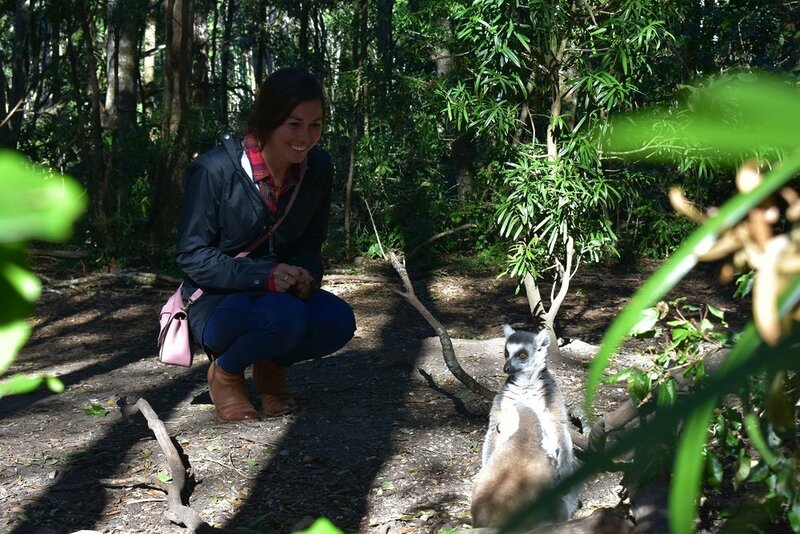 You might even get lucky and get a big wet hello from a local furry friend. Maybe you don’t have a car while you’re in Cape Town, but if you do then a great (and cheap) way to see the city is just by driving around. 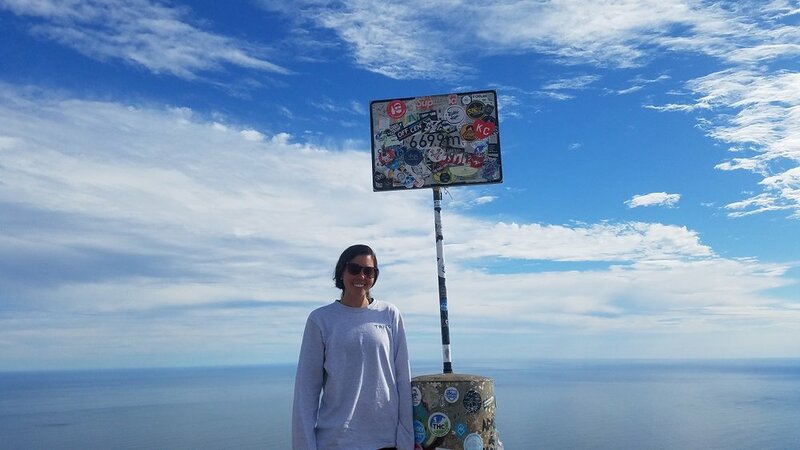 There are some amazing viewpoints like Signal Hill that overlook the whole city complete with picnic benches and a glimpse of Robin Island. Another beautiful drive is Chapman’s Peak at Hout Bay. 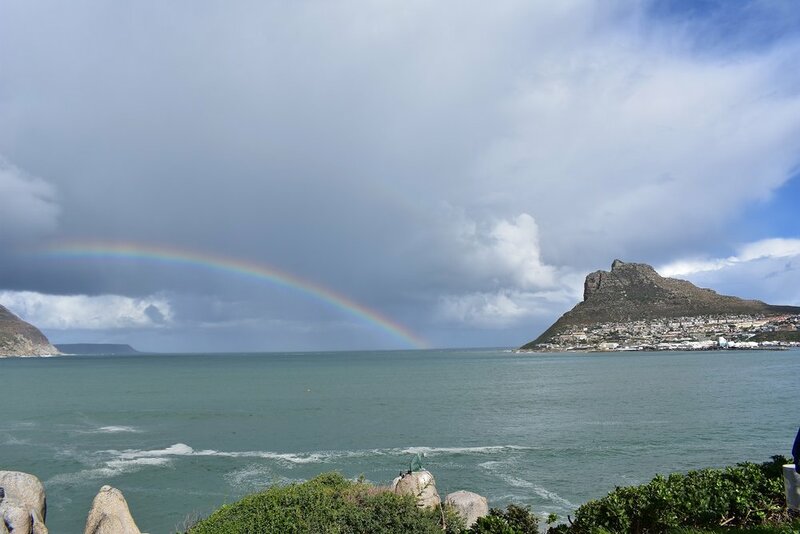 Hout Bay is a charming little town tucked in between mountains while Chapman’s Peak is an engineering phenomenon. Chapman’s Peak was constructed between 1915 and 1922 and is named after John Chapman, who was a pilot of an English ship that claimed Hout Bay in 1607. Put your driving skills to the test, and go for a spin on this curvaceous road. You’ll need a couple hours for this one. But once again, you’ll get some killer views of Cape Town from the top. We went in winter, when it wasn’t too busy but if you’re going in the summer plan for the trails to be busy. 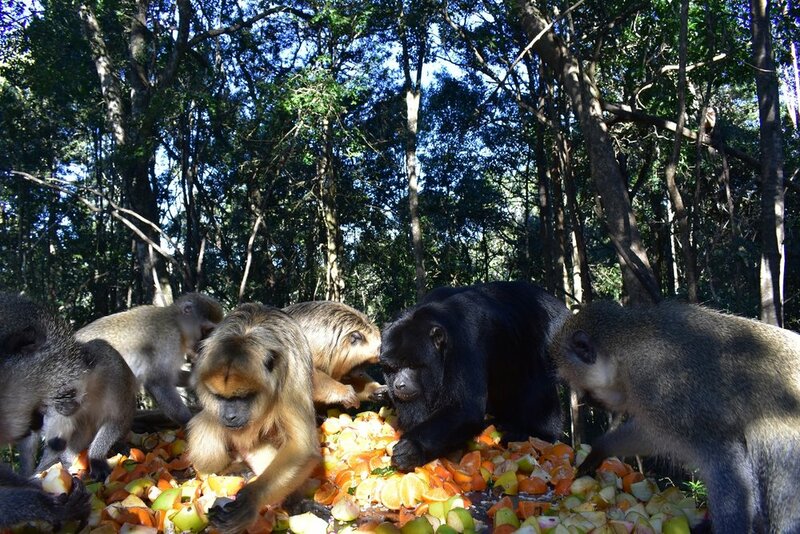 You’ll meet friends from all over the world at the top, and will even spot a few dassies (who love oranges as a snack). This one definitely isn’t free, but everything on the menu is under R100 ($7-8). Scheckter’s Raw is a vegan café, nestled in the heart of Cape Town. They have fresh pressed juices everyday (but arrive early as they go quick), breakfast and lunch options, and hot cups of coffee. Their breakfast includes options like pumpkin pie flapjacks topped with coconut cream, organic matcha flapjacks, and vegan scrambled eggs with a side of vegan sausage links. As for lunch, choose between one of their super bowls, raw zucchini pasta with sunflower seed and avocado pesto, or the chick pea and sweet potato curry wrap. Whether you’re a vegan, vegetarian, or you just straight up love meat you won’t be disappointed. 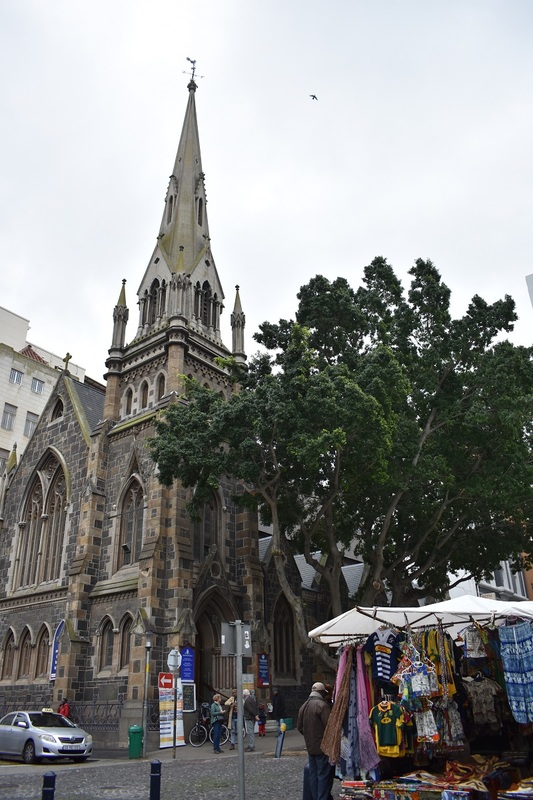 Cape Town is absolutely littered with markets. Some happen every day while others happen throughout the week. Be awed by neighborhood art, fall in love with some ostrich leather, and fascinated by the local flora and fauna. 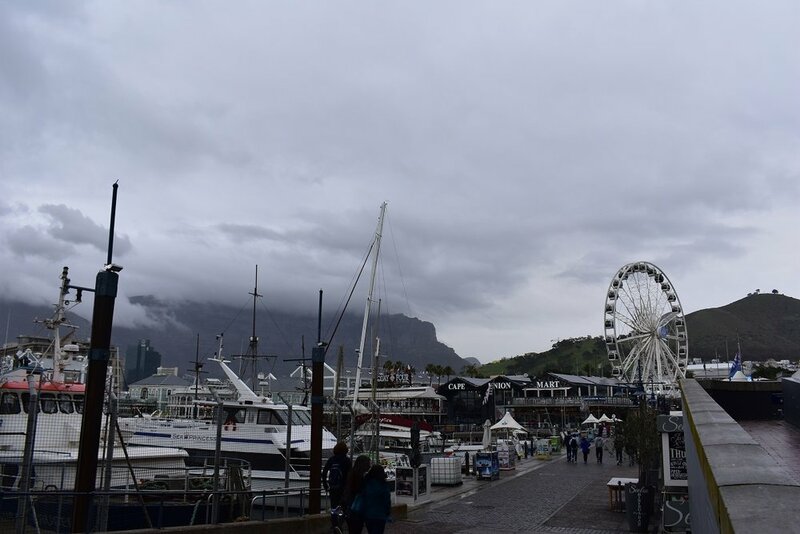 If markets aren’t your scene, you can head over to the VA Waterfront. Here they have posh art galleries and a fabulous mall—a perfect way to spend a rainy day. Nestled away in the Klein Karoon desert, surrounded by the Swartberg and Outeniqua mountains lays the tiny town of Oudtshoorn, South Africa. Walking down the main road you will find ostrich everything. Ostrich feathers, eggs, burgers, and leather purses. That is because Oudtshoorn is known as the ostrich capital of the world. Just outside of the town are miles and miles of ostrich farms and winding trails into the mountains just waiting to be hiked. Our first night in Oudtshoorn, we had a delicious (yes, you guessed it) ostrich steak at De Boer en Vark which translates to ‘the farmer and the pig.’ With craft blood orange and pomegranate gin cocktails and the mismatched, nick-nacky vibe of this tiny restaurant, we knew were in for a treat. Using all locally sourced ingredients, our taste buds felt like it was Christmas. The ostrich steak was lean and grilled to perfection, and the lentil veggie burger with sweet potato fries was divine. It was pretty dead on a Tuesday night mid winter, but we can imagine how busy this cute little restaurant must get in the summer. Another restaurant worth mentioning is De Oude Meul, about 10 minutes outside of town. Here you can sit on the river, look at the mountains and even give glamping a try. There are bunnies to feed and swings that bring out your inner child. Here you can find some classic South African dishes like kudu fillet, venison pie, bobotie, along with (you guessed it) ostrich. I opted for the bobotie, which is similar to meatloaf, but uses sweet curry spices, raisins, is topped with an egg custard and served with rice. Don’t forget to ask for some of their homemade chutney—the dish just isn’t the same without it. 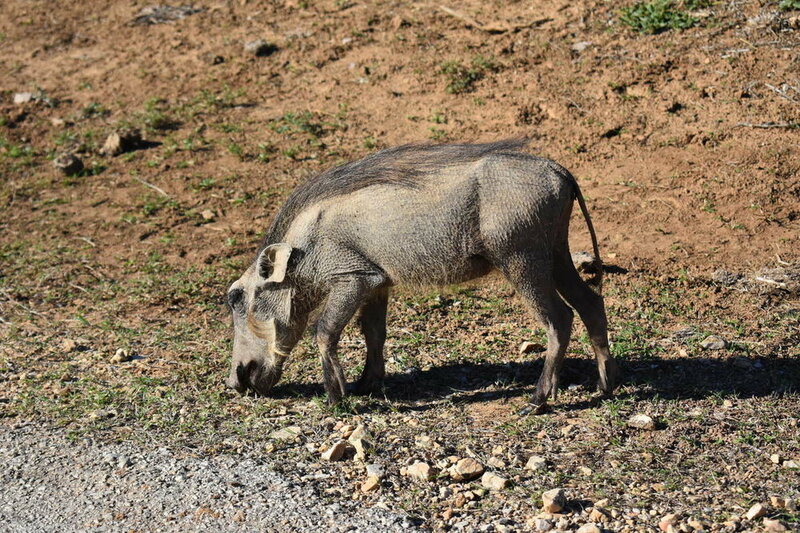 Just minutes outside of Oudtshoorn is the Cango Wildlife Ranch. Though the animals are in enclosures, it is nothing like your typical zoo. The whole purpose of the Cango Wildlife Ranch is to spread awareness about the dangers these animals face. Most of the animals at the ranch are there because they are unable to survive on their own in the wild, were abandoned at birth, or for breeding purposes. They take great pride in their cheetah breeding program and went into depth on their work with organizations around the world to strengthen the cheetah’s weak DNA. Not only can you learn a great deal about cheetahs, lions, tigers, hippos, and crocodiles, but you also have an opportunity to interact with a select few of these animals. 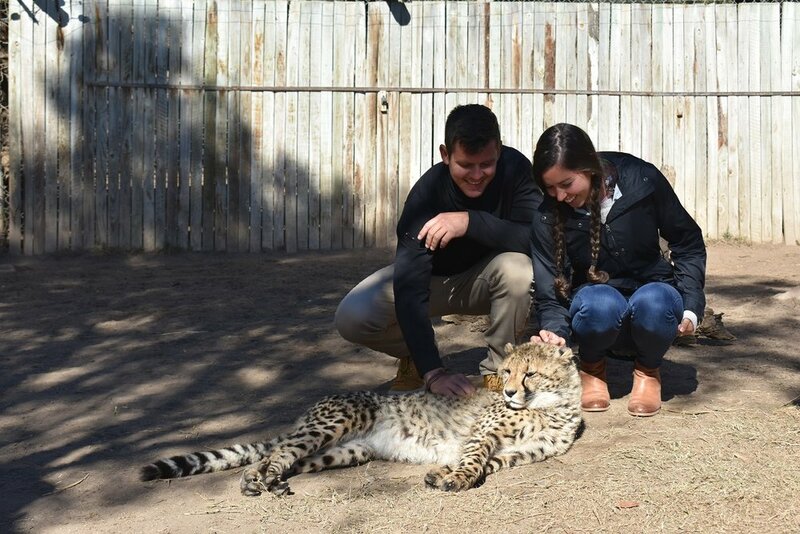 As the cheetahs were born in captivity, they are used to human interaction so we actually got to go into the enclosure and pet some of the junior cheetahs. If you are interested in donating, becoming a volunteer, or visiting the Cango Wildlife Ranch checkout their website here. Being in the ostrich capital of the world, we only thought it was appropriate to visit an ostrich farm. Coming from Indiana where we only have corn and soy and the occasion cow farm, this was just mind blowing. 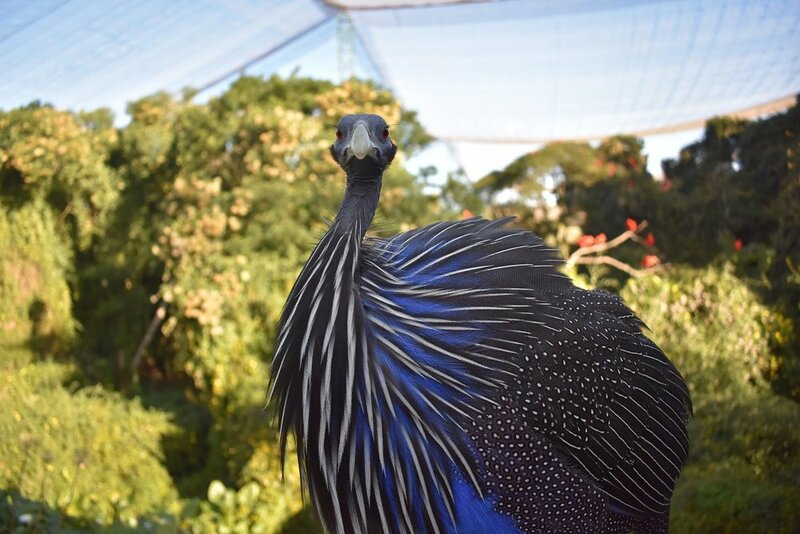 These birds are at their peak at about 14 months, their meat is only 3% fat, so it’s very lean, one ostrich eggs equals about 24 chicken eggs, and their leather and feathers are also used. They aren’t very intelligent, considering their brain is smaller than their eyeball, but they are very aggressive and territorial so some land owners even use them as ‘guard birds.’ At the Cango Ostrich Farm, you get to have a one on one experience with this colossal bird and learn about all about how in the early 1900’s one ostrich feather could cost up to $10.